You must be a member of the Moscow Literature & Creative Writing Group to attend this activity. Would you like to join this group? 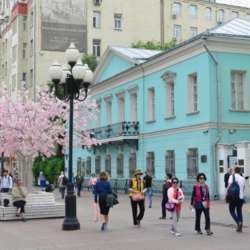 Let us visit Russian greatest poet’s memorial flat in Arbat! Here Alexander Sergeevich spent the first three months of his family life after a wedding at Nikitsky gate. So, the visit will help us to feel the atmosphere of Pushkin time and probably understand his life way and poetry even better. You will be able to take an audioguide in Russian or English with a detailed story about the museum, Pushkin’s life and epoch. Looking forward to our common cultural experience!